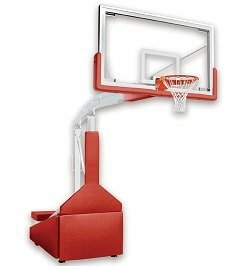 Looking for indoor basketball goal? BuiltRiteBleachers.com offers competitive pricing on HurricaneTriumph-FL Get a quote today! 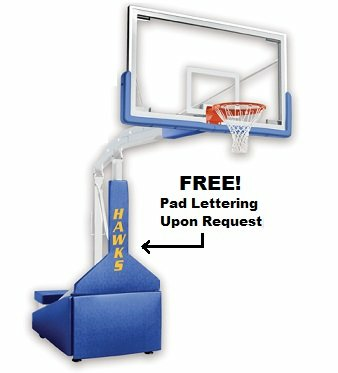 The Hurricane portable basketball hoop is also height adjustable. Rim height adjustments from 10' down to 6' are made easily with its "Spring-Aided" design. To adjust Hurricane portable basketball hoops, simply pull the pin located on the adjustment rod, raise or lower the unit as needed and replace the pin. 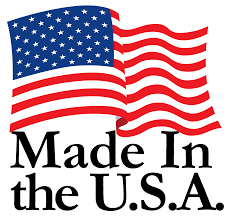 One person can easily roll the unit into place and set up quickly and easily. 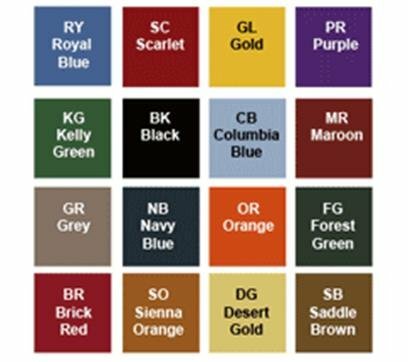 Heavy foam padding, available in an array of colors, protects players on the front, sides and back of basketball equipment base. The unit is extremely stable as well as durable and will not tip over when players hang on the rim. For additional support, rear hold downs are included as required by the NCAA and NHSF for competition portable goals. Choose the Hurricane Triumph-FL package for installations on floating floors or Hurricane Triumph-ST for all other flooring surfaces. IMPORTANT NOTE : To properly fit the Hurricane into your gymnasium, you'll need a space of at least 131" from the out of bounds baseline of your court to the nearest wall or obstruction.